A month ago I sat down with my Member of Parliament, the Honourable Karina Gould. Ms. Gould is a member of the Liberal Party, and is a very nice young lady who despite knowing I did not vote for her was happy to meet with me and listen to my issues. I should mention that I have been a Canadian citizen since the day I was born, have been eligible to vote (and have voted) in Federal, Provincial, and Municipal elections for some 26 years now. Okay, I have missed a couple of Municipal elections, but excepting the election of Jean Chretien in 1993 (when I was living overseas) I have not missed a single Federal election. Throughout my childhood because of my mother’s political activism I met many politicians (and future politicians). As an adult when I was in the army and then following my army service when I was in Security I met many more. Additionally I had not only signed petitions but I wrote letters to Members of the National Assembly (in Quebec), Members of Parliament, Prime Ministers, Presidents of the United States, and even two to successive Premieres of the Soviet Union. It was not until the second month of my forty-fifth year that I made an appointment to sit down with my Member of Parliament to discuss issues. To be fair, I think I started the ball rolling in the tenth month of my forty-fourth year, as Ms. Gould is a busy lady… but that is understandable. So one bright and sunny Friday morning last month I walked in to her Riding Office to speak with her. I had met her before. Ms. Gould had made a number of appearances at events that I was at, and we had a couple of very nice conversations. She is really nice and easy to talk to… I suppose those are among the qualities that helped get her elected. I told her straight out that I did not vote for her in the last election, but that I would give her and her party leader a chance to earn my vote in the next one. I also told her that at some point I might make an appointment to speak with her… and finally I did. We had a great conversation. We probably spent 25 minutes speaking while her aide took notes, and while I was certainly calling her and Prime Minister Trudeau out on something that offended me, it was still a cordial and friendly meeting with respect on both sides. If truth be told, I suspect she strongly agrees with my position, but has to toe the party line and so reserved any enthusiastic agreement she might have otherwise expressed. I promised her I would blog about our encounter, and so I sat down to do so. Several times in fact. I have sat down on numerous occasions to write, and on at least three of these tries I wrote over five hundred words… and then erased them. If you are a regular reader of my blog you will likely have noticed that it has been rather bare of late. The professional side of me – that is, the IT Professional – has been experiencing a drastic case of Writer’s Block. I have decided I would rather leave the page stagnant than publish the crap I have been able to write over the past few months. A product review here, a silly commentary on the US Elections there, but not much more. I did not even blog about the four magnificent concerts I have seen this year. 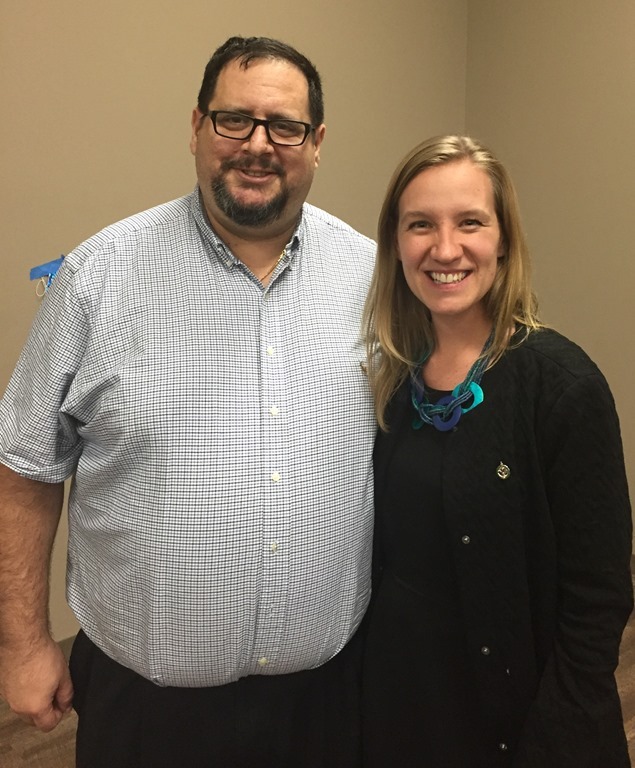 I have had no trouble writing about my meeting with The Honourable Karina Gould, Member for Burlington. More than a decade ago I sought career advice from a man whom I still know and respect named John. He gave me plenty of advice, some of which I followed and benefitted from, some of which I did not and have suffered for. He is one of the people responsible for my blogging. He told me that I should be blogging, and not just for www.MITPro.ca. Hence MitchGarvis.com and later The World According to Mitch was born. The other bit of advice that stuck – and which I remember although I have not always followed – is to keep the politics out of it. I think that overall I have done a decent if not a complete job of this. My politics – especially on many of the world’s hot-button issues – are strong and fervent, and I will gladly discuss and debate them over a beer at the pub, or better yet over a cigar. However my days of writing political opinion pieces – as I have over the years – are for the time being behind me. And so we come to this productive and enjoyable meeting with The Honourable Member from Burlington. The topic was indeed one of the hot-button issues I was warned by John to avoid. How do I write about what we discussed without once again advertising my strong political opinions in a space that should be apolitical? Several times I sat down to write, several times I wiped my screen clear and promised to try again later. I left the Riding Office with a Canadian flag and a pin. I left with the promise that Ms. Gould would speak with the Prime Minister and get the answers I seek. I left with the intent of writing strongly and learnedly of this positive meeting. The promise and the intent remain unfulfilled… although I am patient and assume that for a freshman MP to get time with the Prime Minister may take time, and so I hope that her promise will indeed be fulfilled. The Writer’s Block remains, and over the next few weeks I hope to break it. I make no promises, except that if you reach out to me I will try to reply. Have a happy Friday, and a great long Labour Day weekend.